Авиабаза Кинлосс принимала самолеты Nimrod в течение всей их карьеры. А в связи с выводом самолетов MR.Mk 2 с базы Сент-Мауган стала "домом" и для них. 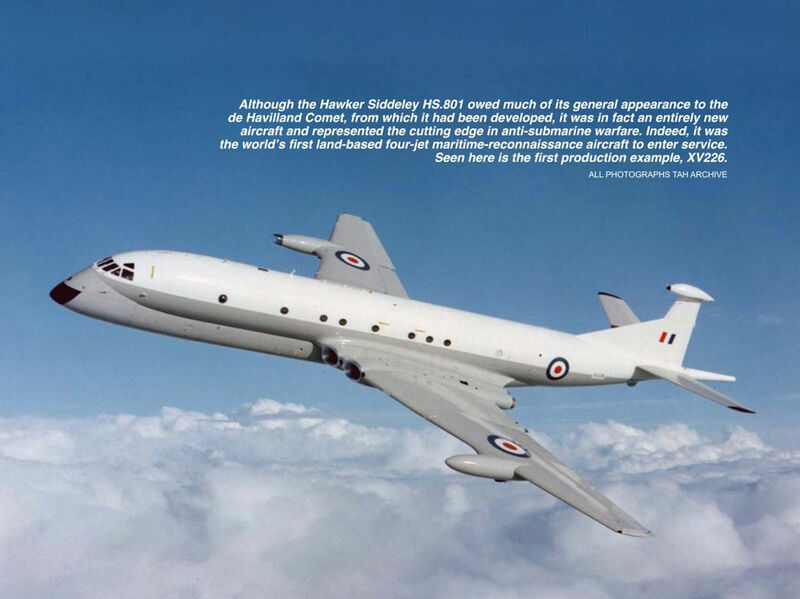 Two prototypes of the HS.801 were built, using the last two Comet 4C airframes, which were fitted with Rolls-Royce Avon turbojets. 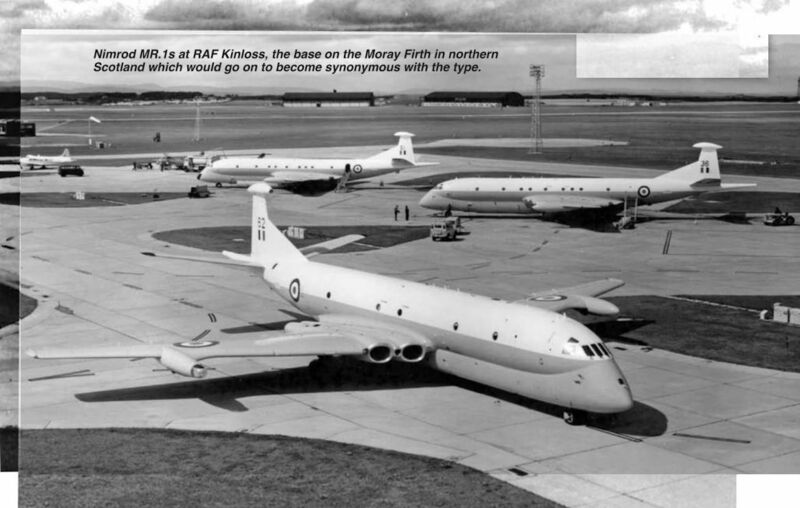 One, XV148, seen here, was re-engined with the same company’s Spey turbofans, while the other, XV147, retained its Avons.